Straight to the point, this movie marked another milestone to the marvel franchise, not only did it manage to gather all the big titles under one movie, but they manage to deliver a reasonable plot. At first I was worried that one or two of the character will outshine the others and thus making this movie just a sequel of his previous one. But to my surprise, the screen time was almost equally distributed to each one and prevent any characters to steal the limelight. Yes folks, this movie IS about the Avengers, not Iron Man movie, not Thor movie. 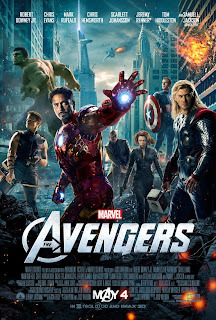 The movie is all about action, explosion and all that hero stuff you previously loved from the past Marvel movies. This was by far the best movies in the franchise. There might be some flaws but in my personal opinion the movie was doing justice to all the characters in it.